Barcelona's Sagrada Familia has been a labor of love. Still unfinished over 130 years since construction started, Antoni Gaudi's designs have been given a boost through advanced software more typically used in aeronautical projects. CBS' 60 Minutes took a look at the recent development of the huge church, a building where every detail of its facade attempts to detail the story of the bible. While the architect had crafted elaborate plaster models of the finished designs, these were unfortunately destroyed during the Spanish Civil War. Building continued, but slowed after the second facade was finished, as the construction workers and designers had no idea how to follow the original plans for the rest of the building. This was where architect Mark Burrey and others were brought in to reverse engineer Gaudi's models, which were now piles of shards. Using advanced design software typically used in auto and airplane design, they were able to figure our how to model the advanced shapes and surfaces that Gaudi's avant garde plans demanded and building continued. 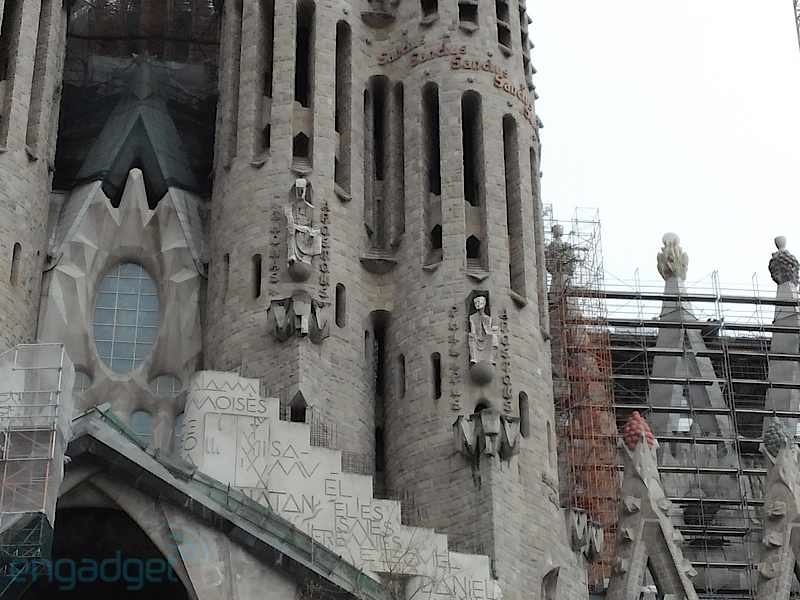 You can watch the full story of the Sagrada Familia's continued development after the break -- with no extraterrestrial interference.